Founded in 1988 by Kevin Waldrop and Michael Bush, Diversified Woodworking has since been successfully designing, building and installing custom architectural woodwork. We take pride in the quality of our work and service, and strive to create a superior product. We believe a strong, working relationship with our customers is priority, and we work one-on-one with them to meet their needs and ensure their satisfaction. 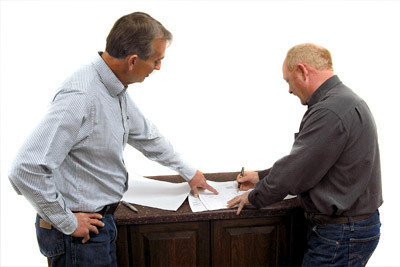 To us, “custom casework” means the customer telling us what they want…no “A, B, or C” options that are available to everyone, with set size, wood species or color to choose from. If the idea seems a bit out of the ordinary, no problem…our creative design techniques and drawings can obtain it. Just because someone wants “custom” work, does not mean they have to pay outrageous prices. Since no two jobs are the same, we quote each job individually, according to the amount of custom detail. Contact us now to find out about starting your next project.